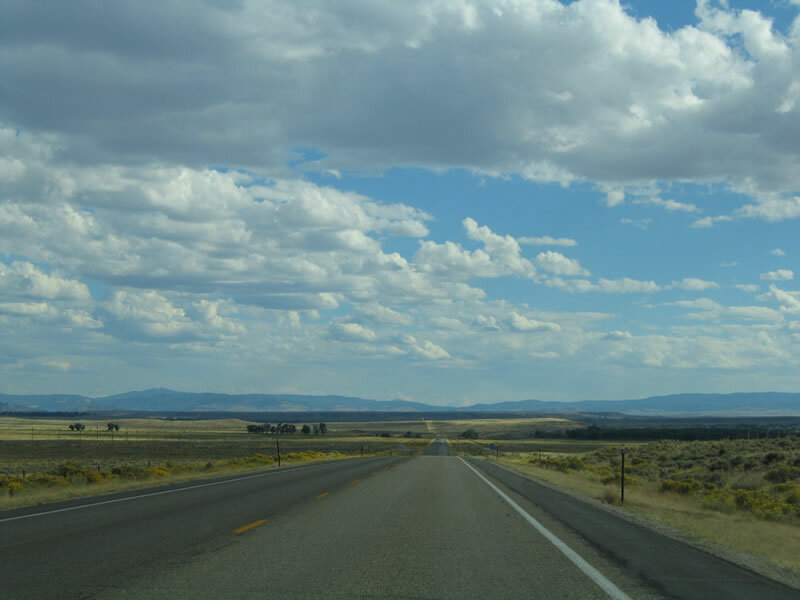 Wyoming 130 begins at Interstate 80 and U.S. 30-287 in Walcott, travels south to Saratoga, then curves east to serve the Medicine Bow Mountains (Snowy Range), including Ryan Park, Libby Flats, and Snowy Range Ski Area. The highway emerges at Centennial and proceeds across the Laramie Basin into the city of Laramie, terminating at Business Loop I-80 and U.S. 30-287/Third Street near downtown Laramie. 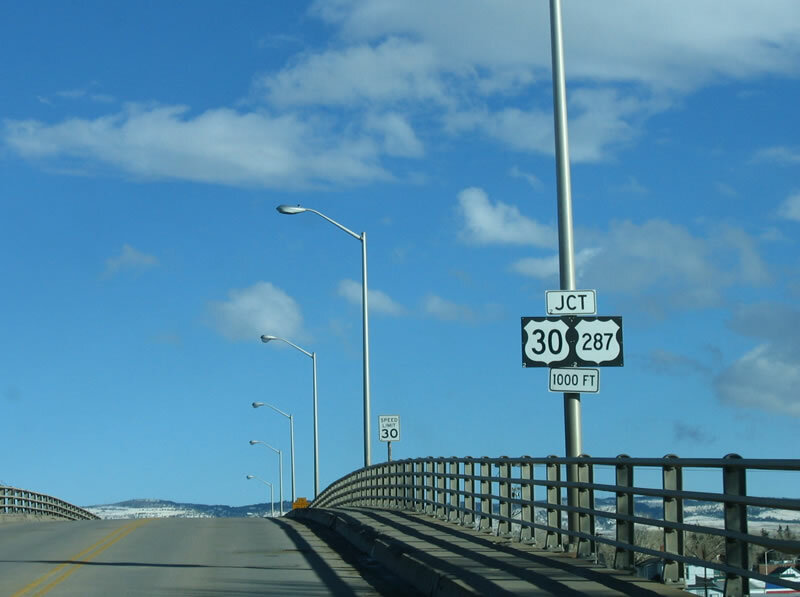 In 2013, Wyoming 230 was extended from its former terminus south of Saratoga north to Interstate 80 and U.S. 30-287 at Walcott; this resulted in an overlap between Wyoming 130 and Wyoming 230 between Saratoga and Walcott. 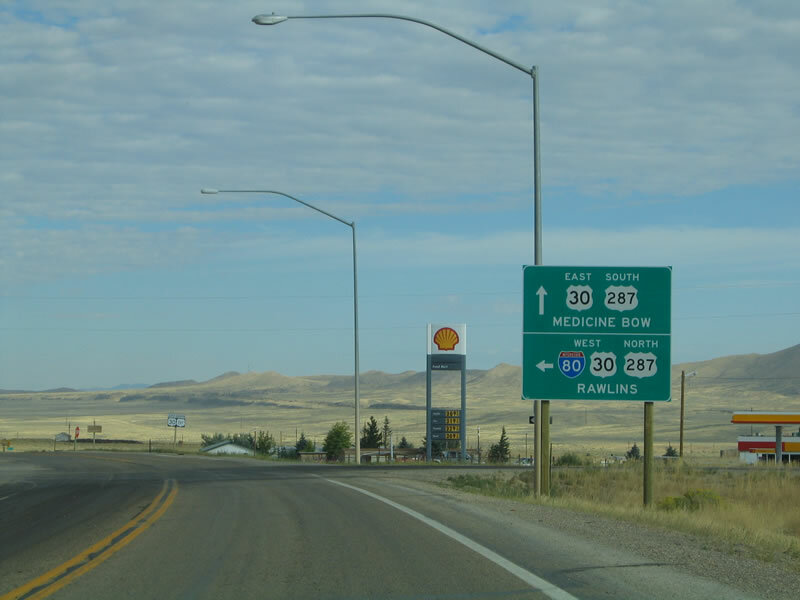 Both Wyoming 130 and Wyoming 230 end in Walcott at the freeway interchange. Plans call for Wyoming 130-230/Snowy Range Road to be realigned from the Clark Street Viaduct (built in 1963 and in need of replacement) to a new viaduct that would connect directly with Harney Street. 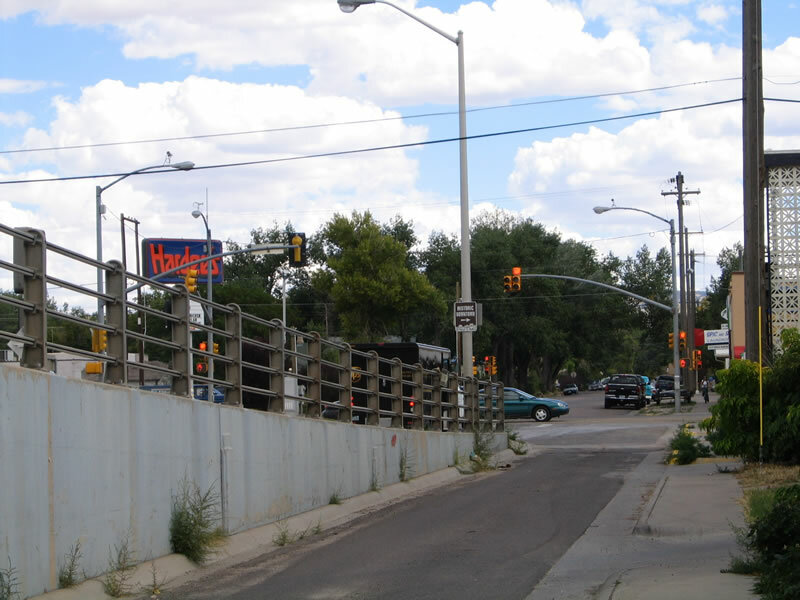 Plans call for the Harney Street Viaduct to begin construction in 2016. The old Clark Street Viaduct would be removed after the replacement structure is completed. 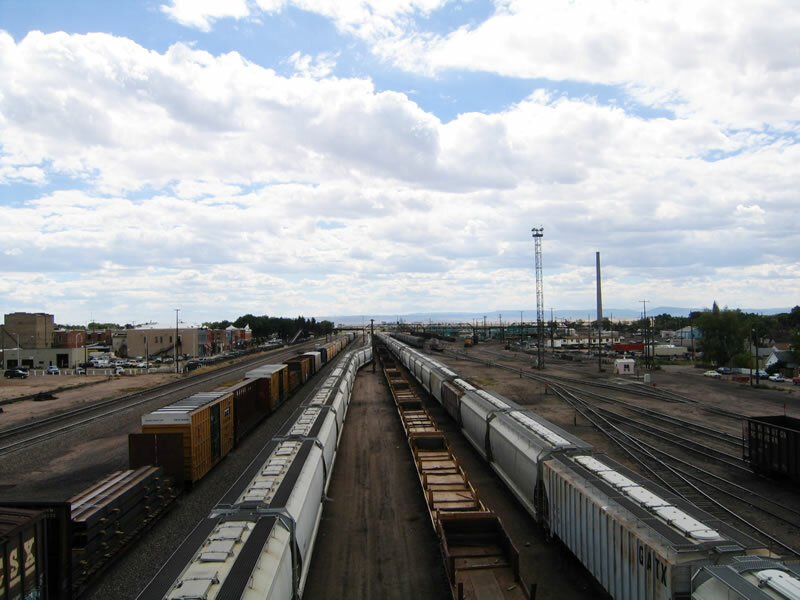 A Laramie Boomerang article about the proposed route alignment states, "The proposed bridge layout cuts diagonally across the railroad, and ends just north of some West Side residences. 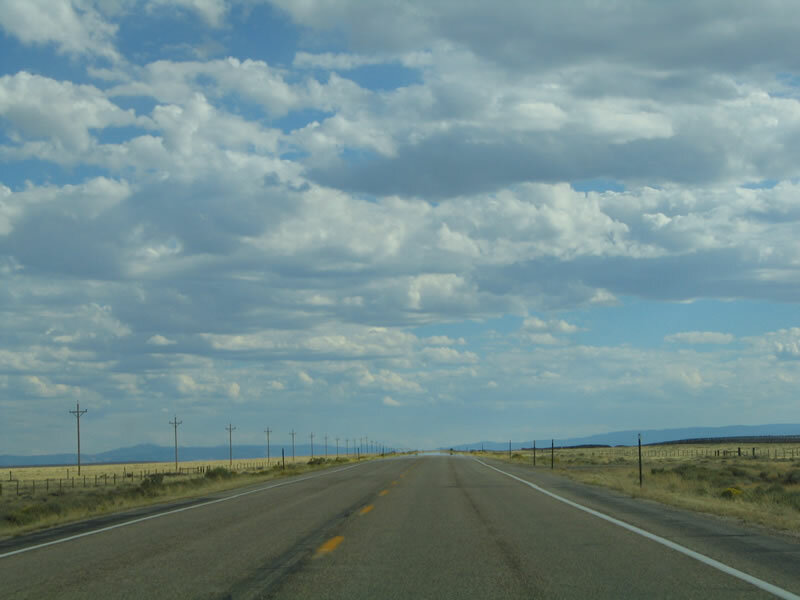 The proposed road runs through sections of land owned by Osborne Concrete Services, Inc., the Laramie River Conservation District and Amoco Oil Company property. North Cedar Street is set to intersect the road. Harney Street would then wind down the edge of West Side, intersecting West Flint Street and ending at the current Snowy Range Road. 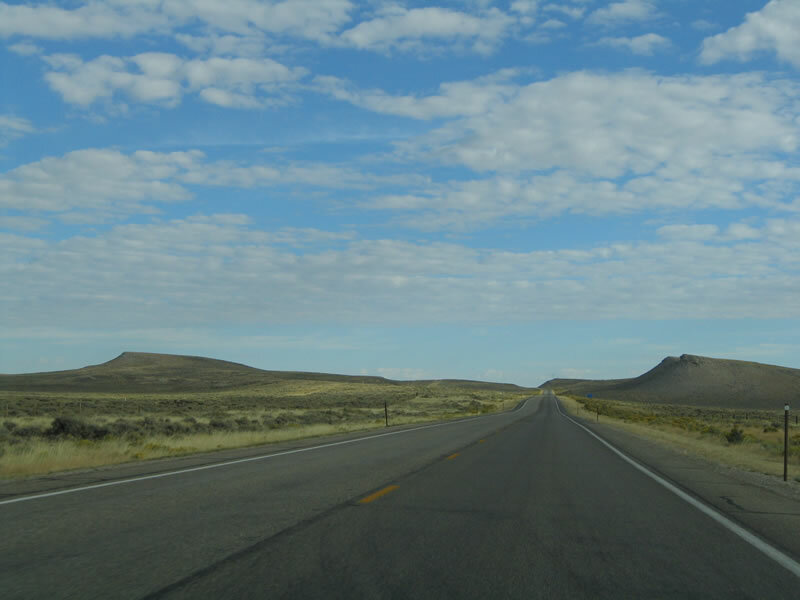 The existing roadway along Snowy Range Road would be expanded to match the expected four-lane road. 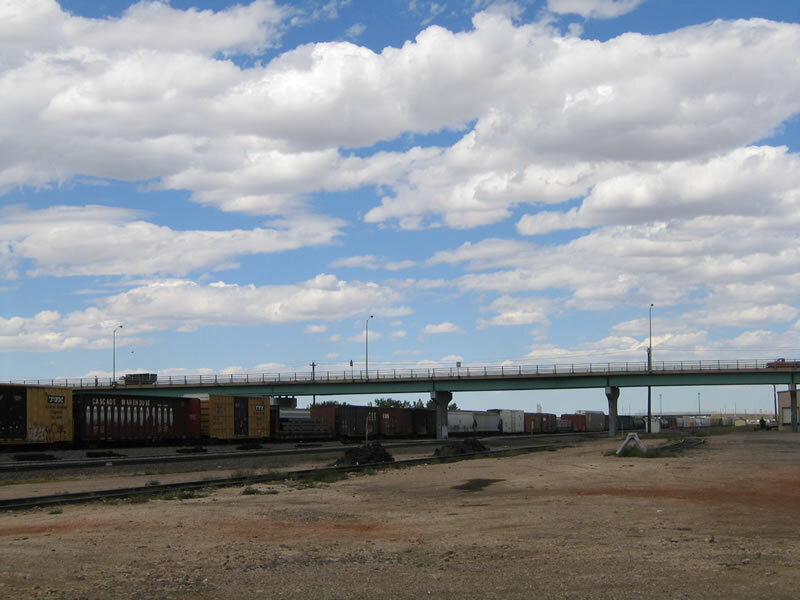 The bridge over the Laramie River would also be expanded." 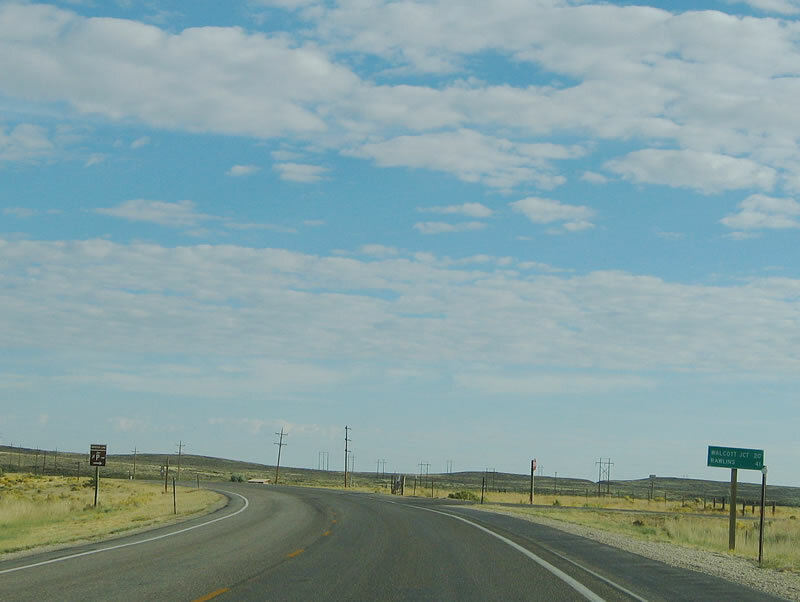 After departing from Interstate 80 and U.S. 30-287, the first mileage sign on southbound (eastbound) Wyoming 130-230 is for the towns of Saratoga and Encampment. Wyoming 130 and Wyoming 230 pass through Saratoga; Wyoming 130 will turns sharply east to cross the top of the Snowy Range, while Wyoming 230 travels south to Encampment. 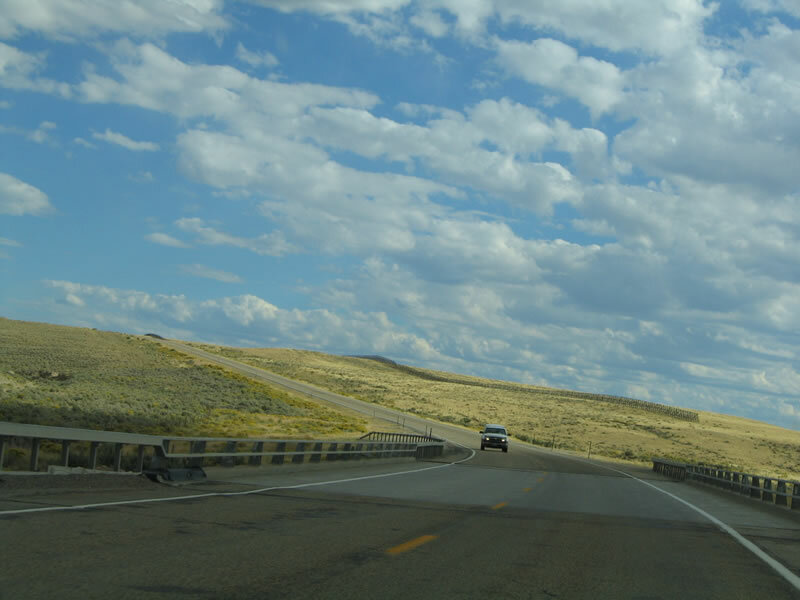 Wyoming 130 used to have this segment all to itself; it was given the added Wyoming 230 designation in 2013 and is shown co-signed on the 2014 official state map. Photo taken 09/07/05. After leaving Walcott Junction, this is the first reassurance shield along southbound (eastbound) Wyoming 130. We'll have to revisit this area to get a picture that shows both Wyoming 130 and Wyoming 230. The state highway will continue south through Saratoga, then turn east at the Wyoming 230 junction eight miles south of Saratoga. Photo taken 09/07/05. 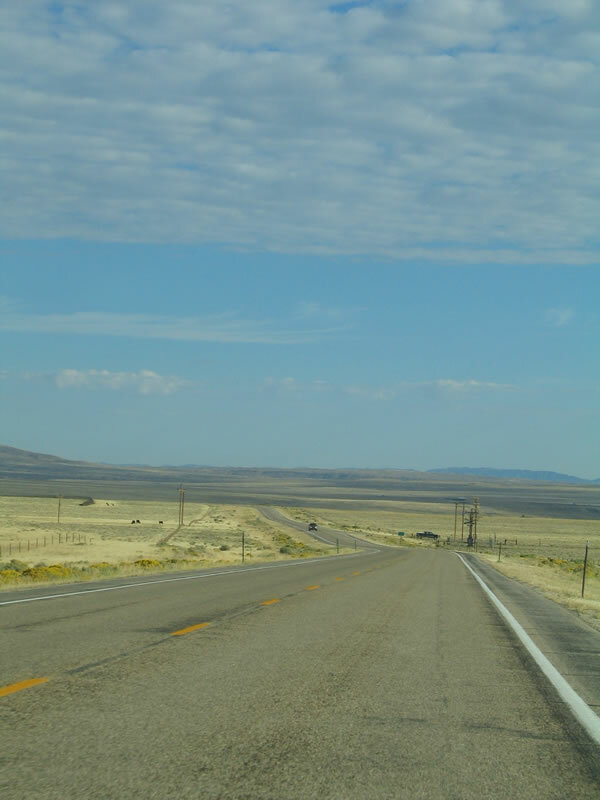 Vast sagebrush plains and rolling hills dominate the view on southbound Wyoming 130-230 after Walcott Junction. The North Platte River rarely comes into view, even though it parallels the highway just to the west. Along the route are several connecting county routes that offer ranch access and river access. Photos taken 09/07/05. 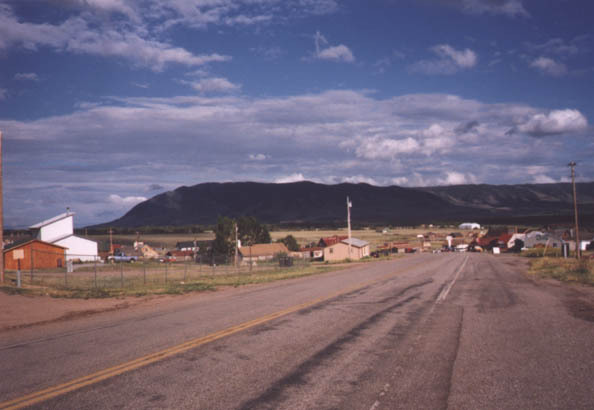 Southbound Wyoming 130 enters the town of Saratoga, which is home to 1,726 people. 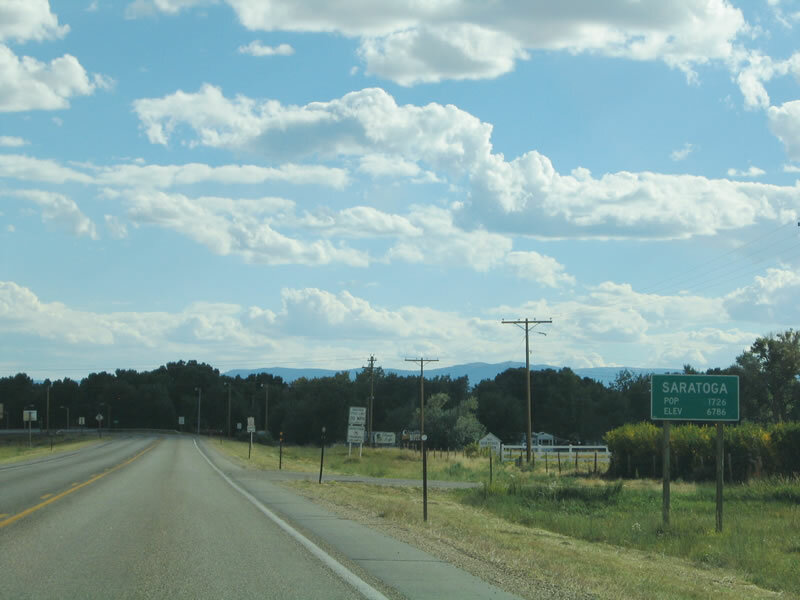 The town has a history in lumber, but it has grown to include tourism as a gateway to the Snowy Range and as the location of the Hobo Hot Springs in downtown Saratoga. Photo taken 09/07/05. 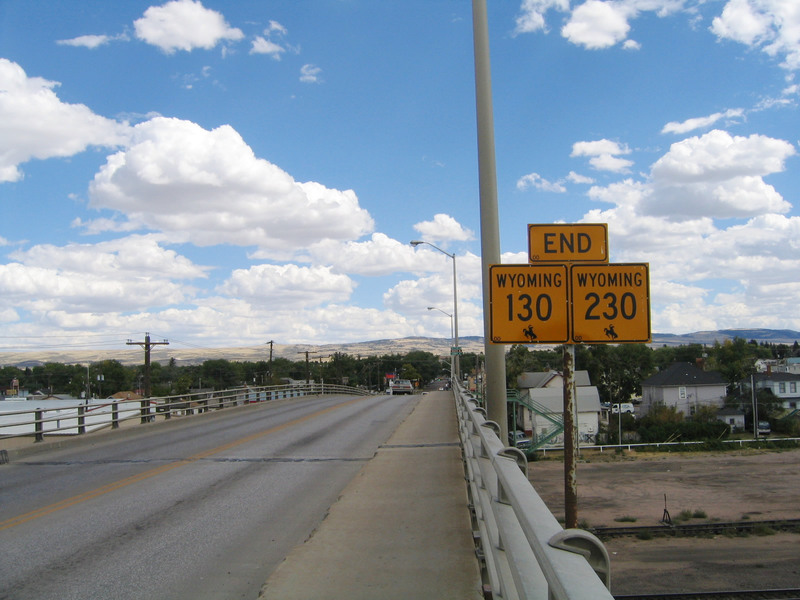 Now entering the town of Saratoga, Wyoming 130 and Wyoming 230 cross over the North Platte River before entering downtown. 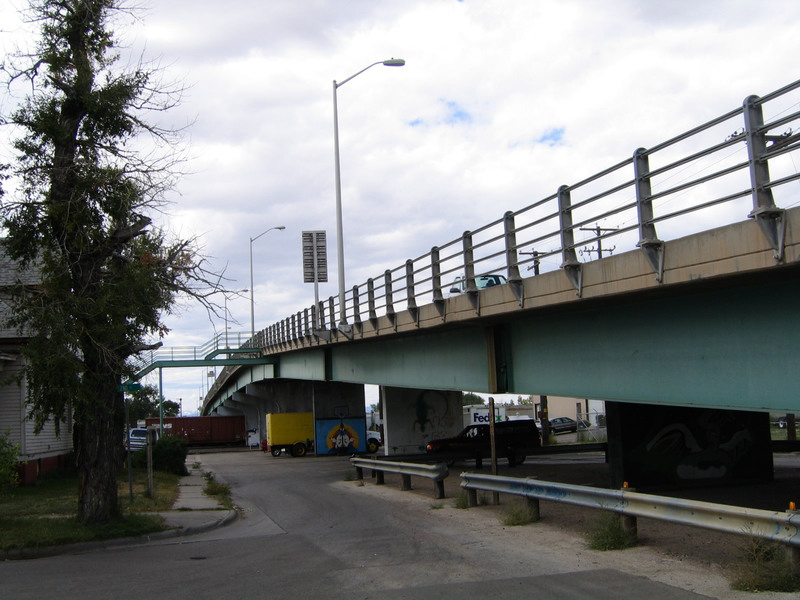 The only other bridge over the river in the vicinity of Saratoga is via Bridge Street (Wyoming 74). Photo taken 09/07/05. Eastbound Wyoming 130/Snowy Range Road reaches the Albany-Carbon County Line during the middle of winter. 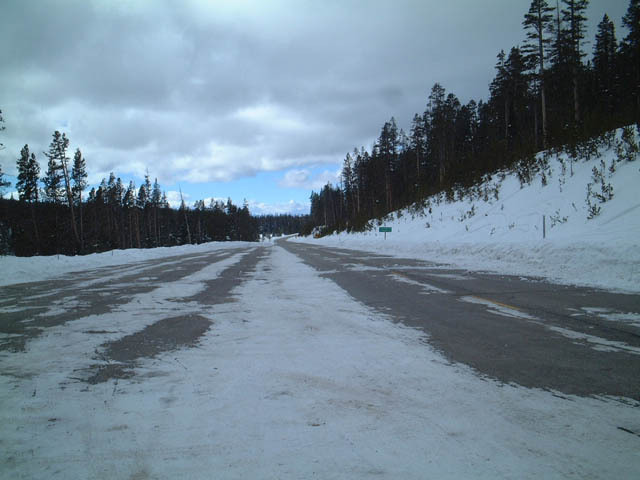 Wyoming 130 is only open to cross-country skiers and snow machines during the winter months, since it is too intrusive to plow the highway free of the several feet of snow on Wyoming 130 between October and May each year. Photo taken 02/02/02. 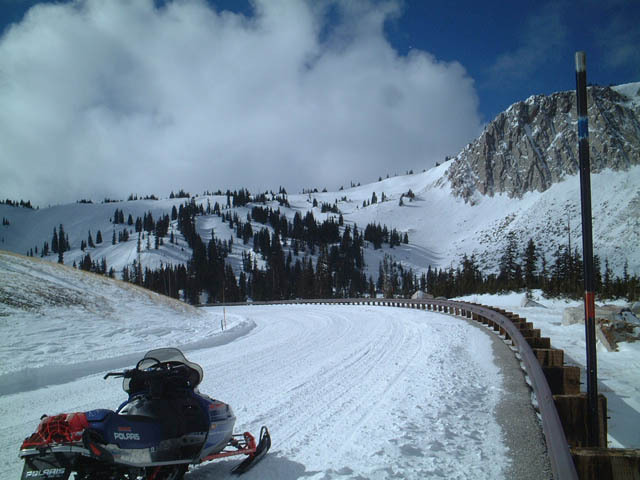 At this point in the Snowy Range, Wyoming 130 becomes closed each winter. 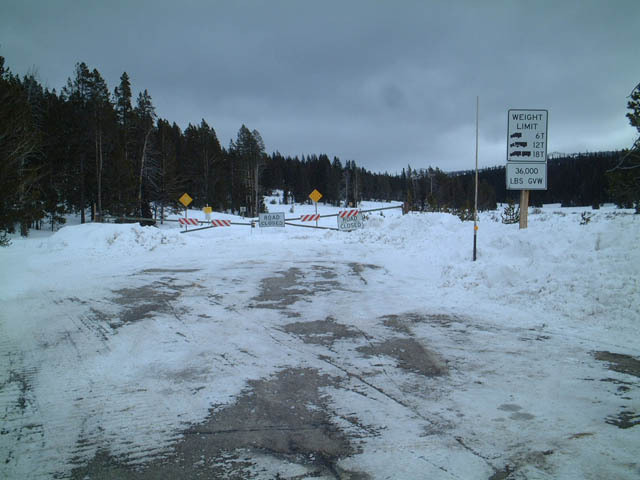 As seen in this picture, several feet of snow prevent passage during the winter, but snowmobilers and cross-country skiers may reach some of the most beautiful winter scenery - assuming it's not snowing at that time. Photo taken 02/02/02. Much further east (after leaving the Snowy Range and crossing the Laramie Basin), eastbound Wyoming 130 and Wyoming 230 approach their junction with U.S. 30-287 and Business Loop I-80 as the state routes cross over the Union Pacific Railroad tracks. 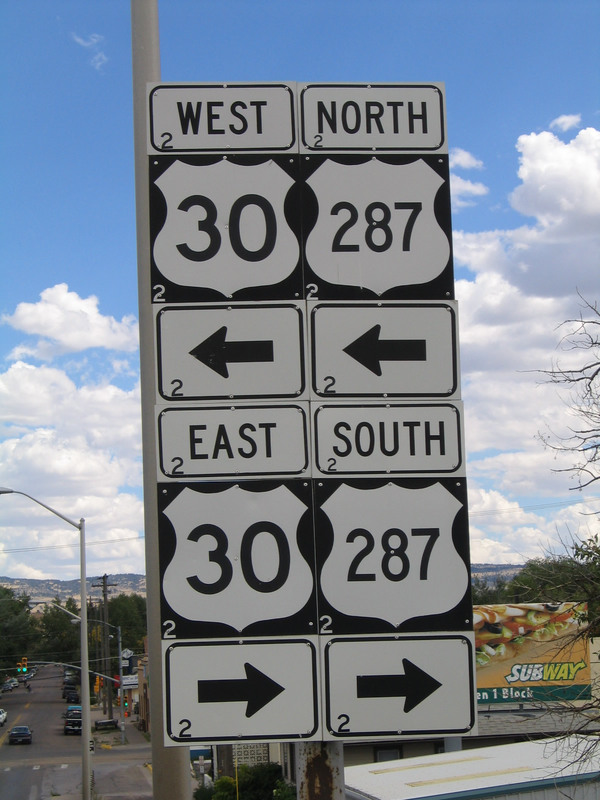 Only U.S. 30 and U.S. 287 are signed in this junction shield assembly in Laramie. Photo taken 11/11/05. Crossing over the Union Pacific Railroad near downtown Laramie, Wyoming 130 and Wyoming 230 come to a joint end as the highway approaches Third Street (Junction Business Loop I-80 and U.S. 30-287). 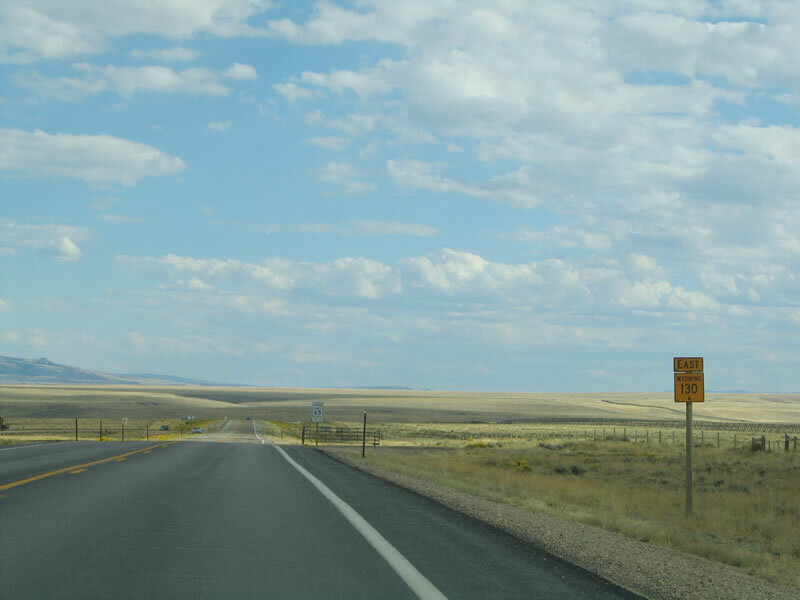 The route is signed with an end shield, like most major Interstate, U.S., and state routes in the Wyoming. Photos taken 09/07/05. 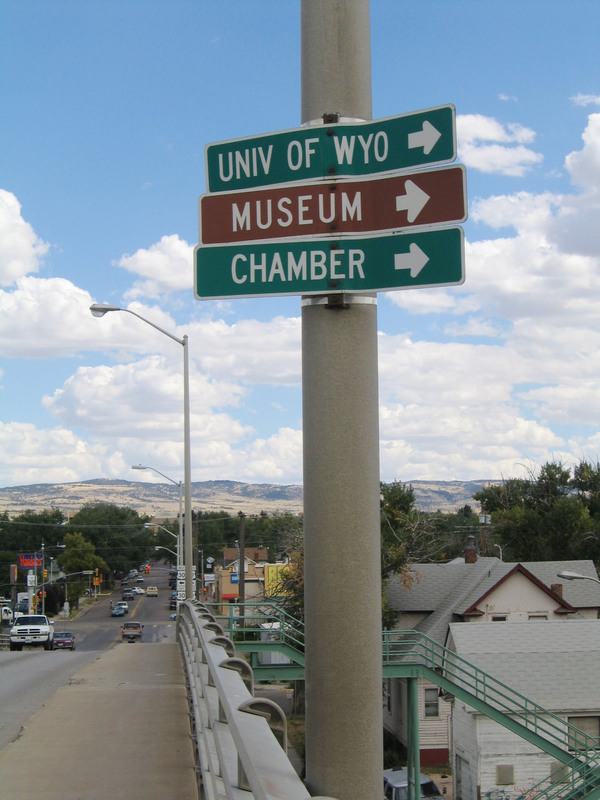 To reach the Laramie chamber of commerce, the University of Wyoming, and museums, follow Third Street (Business Loop I-80 and U.S. 30-287) south. Photo taken 09/07/05. This shield assembly omits the business loop, but it points the way to north/southbound U.S. 30-287. To the south, U.S. 30-287 travel together for several blocks, then divide at Grand Avenue. Grand Avenue heads east toward the University of Wyoming, while Third Street carries U.S. 287 south out of town and toward Fort Collins, Colorado. Photos taken 09/07/05. The Wyoming 130-230 viaduct has an unusual arrangement that allows for a frontage road on the eastern approach. This photo shows the pending intersection with Third Street as seen from the frontage road rather than the viaduct. Photo taken 09/07/05. Wyoming 130 and Wyoming 230 travel together over the Union Pacific Railroad Viaduct just north of downtown Laramie. 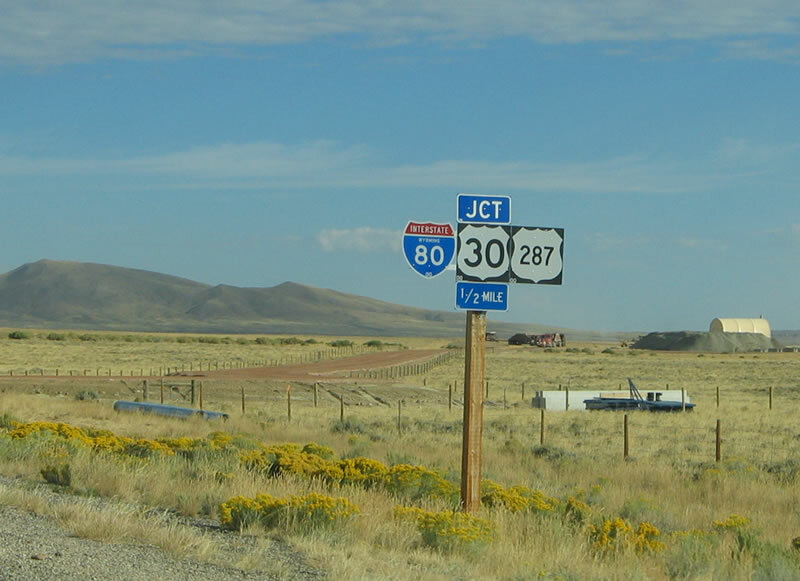 The two routes will continue together past the Laramie Territorial Prison, then divide in West Laramie after the Interstate 80 interchange. Photo taken 09/07/05. 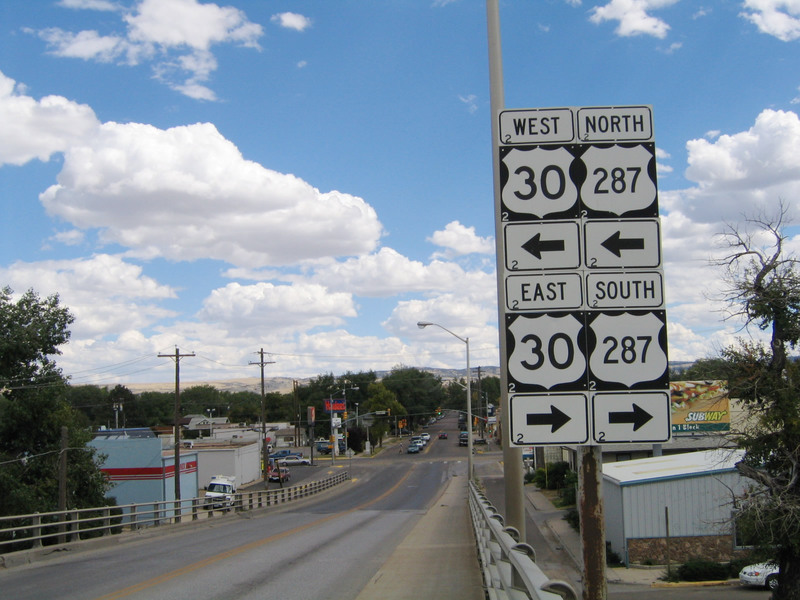 Westbound Wyoming 130 and Wyoming 230 reach their junction with Interstate 80 in West Laramie. 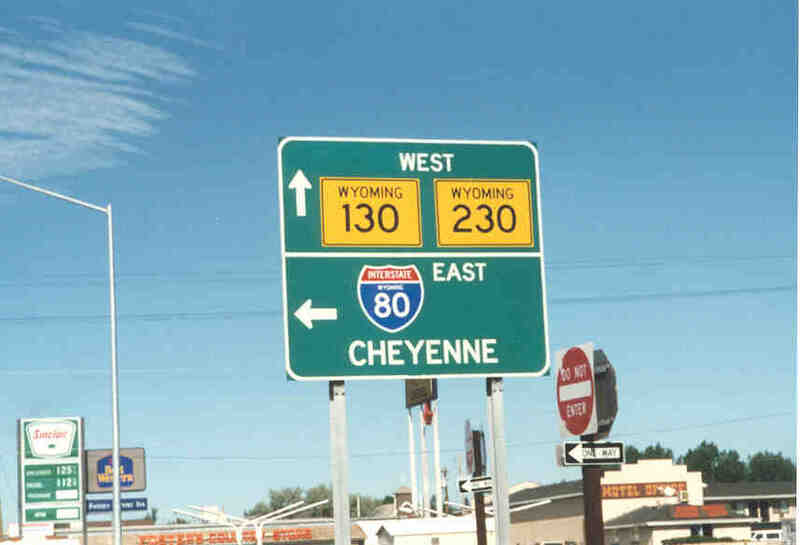 At this interchange, Interstate 80 travels north-south in order to bypass Laramie. Photo taken by Jeremy Hamm, 08/22/99. Now leaving Laramie, most traffic on Wyoming 130 is headed toward the Snowy Range or to the foothill town of Centennial. Photo taken 02/04/02. 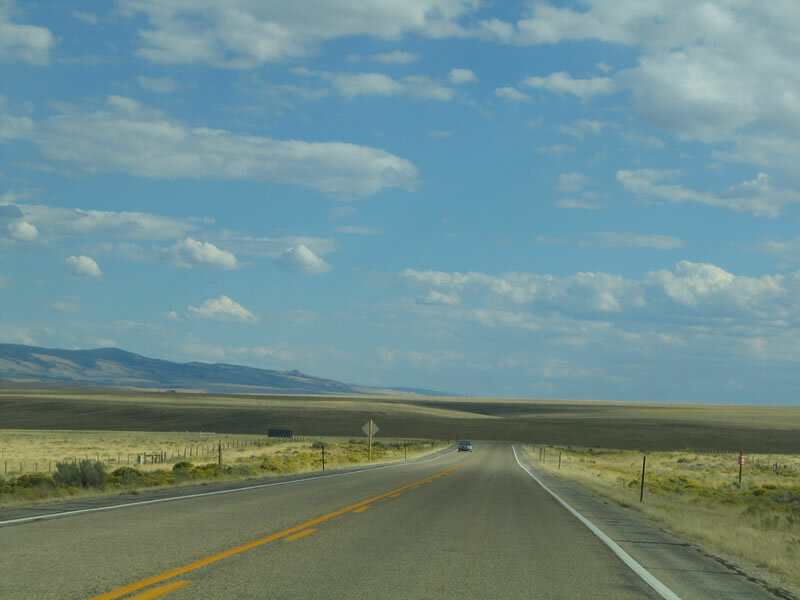 Westbound Wyoming 130/Snowy Range Road enters the unincorporated community of Centennial, which was established in 1876, the year of the centennial of the United States of America. 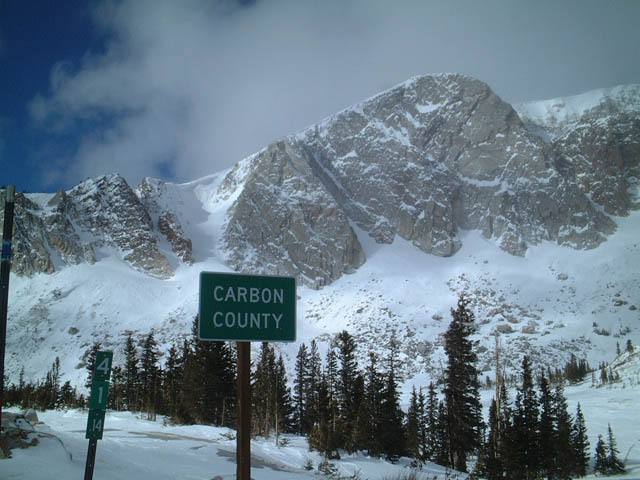 Centennial, with a population of 270 as of the 2010 Census, sits at an elevation of 8,074 feet above sea level and is the gateway community leading into the Snowy Range. Known formally as the Medicine Bow Mountains, the Snowy Range loom large behind the small community. 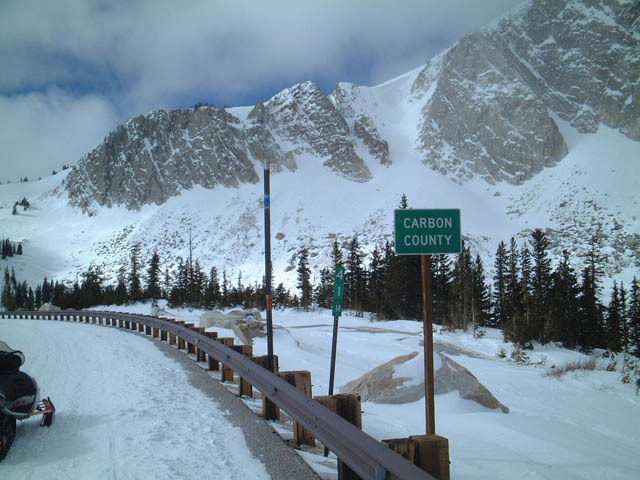 During winter, skiers travel through Laramie and Centennial en route to the Snowy Range Ski Area. This style of population sign (black lettering on white sign) is no longer in use in Wyoming; they are now white lettering on green sign. Photo taken 8/98. 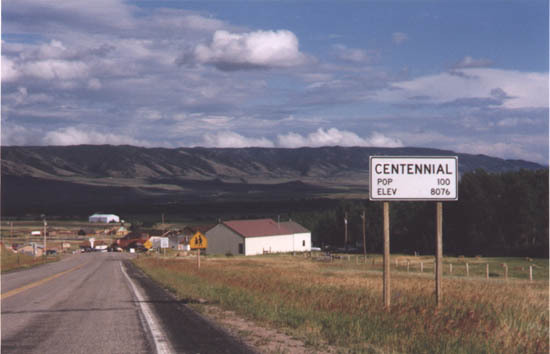 Plenty of ranches surround Centennial; a small downtown is located near a bend in the highway. Photo taken 08/98. 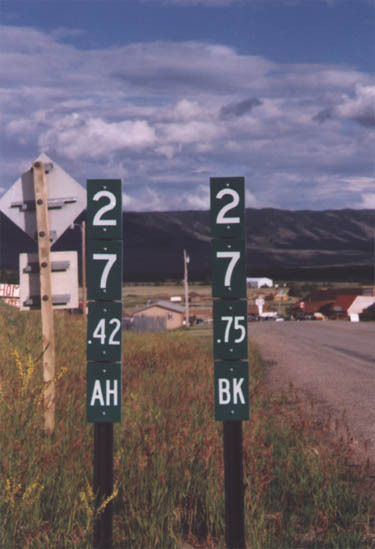 Wyoming 130 ahead-back milepost equation markers located near Centennial. Photo taken 8/98. 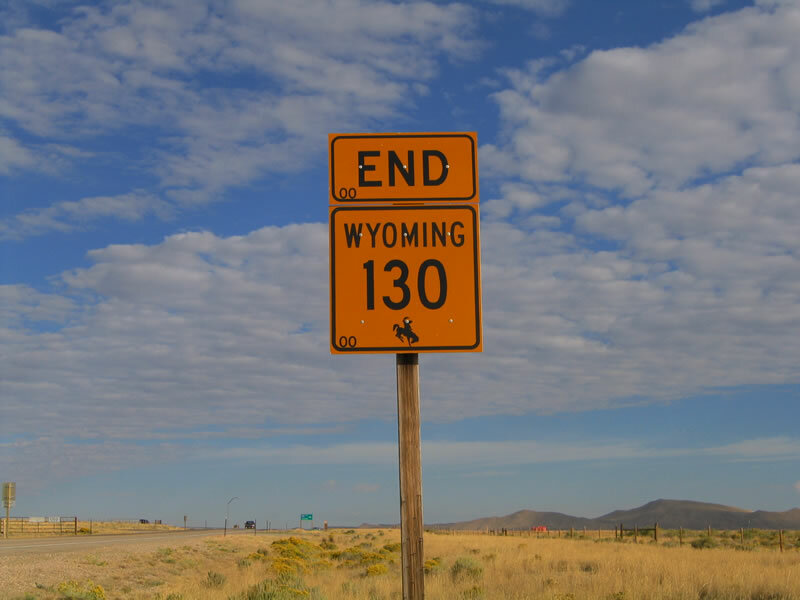 During the winter months, Wyoming 130 ends at this point. The road is wide to accommodate parking for day use snowmobiler and skiers. Photo taken 02/04/02. 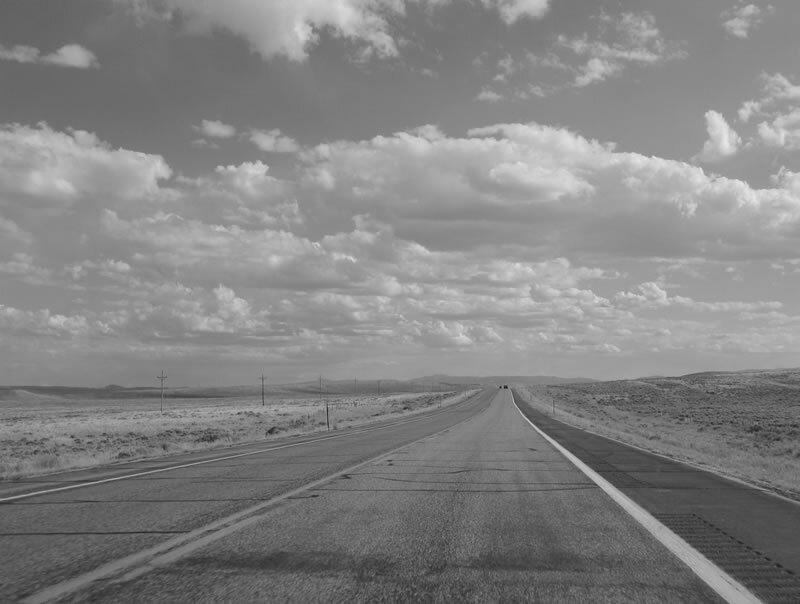 The highway is well traveled during winter, even though the road is ostensibly closed. 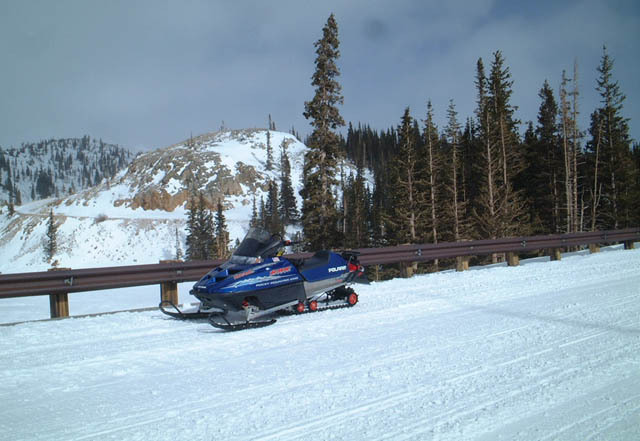 Snowmobiles can travel the highway, as seen in this winter photograph. Photo taken 09/07/05. During the winter months, the peaks of the Snowy Range help define the highest point of Wyoming 130, which is covered in snow. Lake Marie, the lake at the base of the range, is covered in snow. Photo taken 02/04/02. 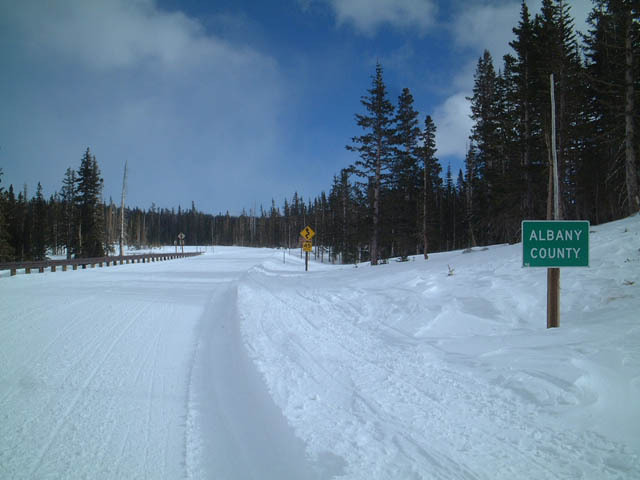 Westbound Wyoming 130 leaves Albany County and enters Carbon County near the base of the Snowy Range. At the time this photo was taken, we were on snowmobiles on top of several feet of snow above the roadway. Photos taken 02/04/02. As westbound Wyoming 130 and Wyoming 230 leave Saratoga, much of the highway passes through the North Platte River Valley. The North Platte River flows from south to north here, slowly winding its way northward to Casper. At Casper, the river turns east and then south, connecting with the South Platte River in Nebraska. 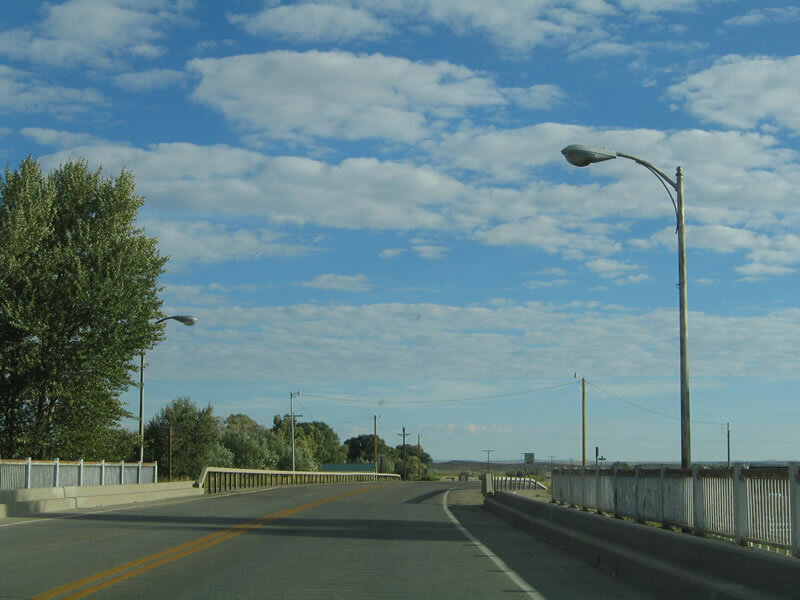 Most of the turnoffs along this stretch of Wyoming 130 lead to Bureau of Land Management access points to the North Platte River for recreational uses such as boating, floating, and fishing. Photo taken 09/07/05. This mileage sign, located immediately after leaving Saratoga, provides the distance to Walcott Junction (20 miles) and Rawlins (41 miles). 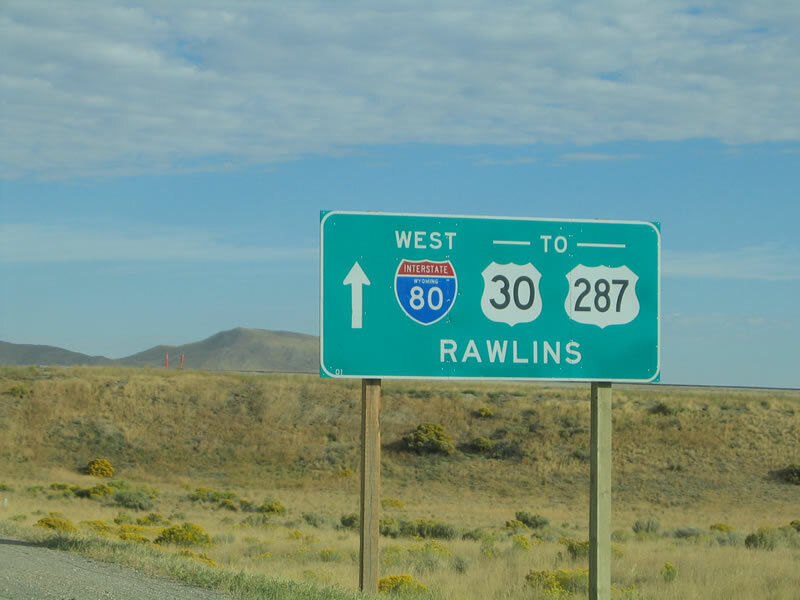 Follow Interstate 80 west to Rawlins. Photo taken 09/07/05. 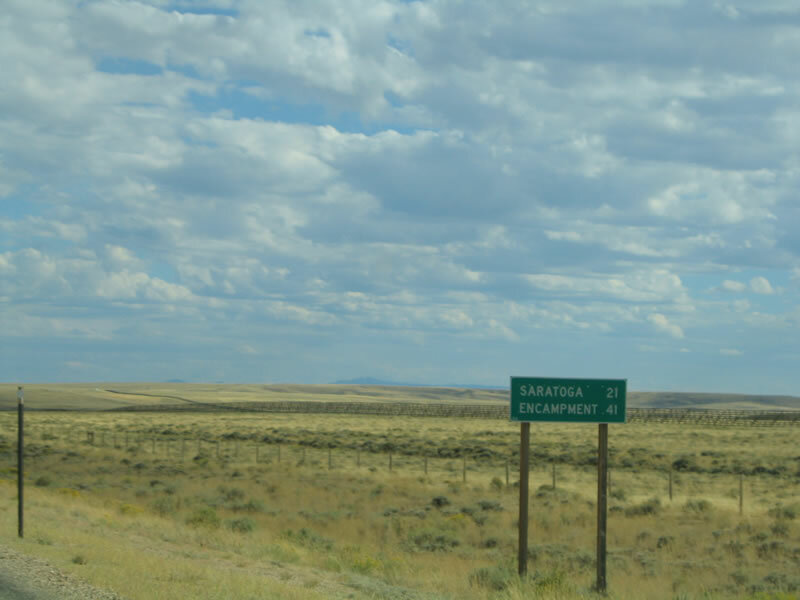 This suite of pictures shows the rolling hills and sagebrush filled landscape between Saratoga and Walcott Junction. The North Platte River flows north on a route parallel to Wyoming 130, but it is seldom visible. Photos taken 09/08/05. Northbound Wyoming 130-230 approach their junction with Interstate 80 and U.S. 30-287. The freeway ramps are just ahead; two-lane Wyoming 130 transitions directly onto U.S. 30-287 eastbound. Photo taken 09/08/05. 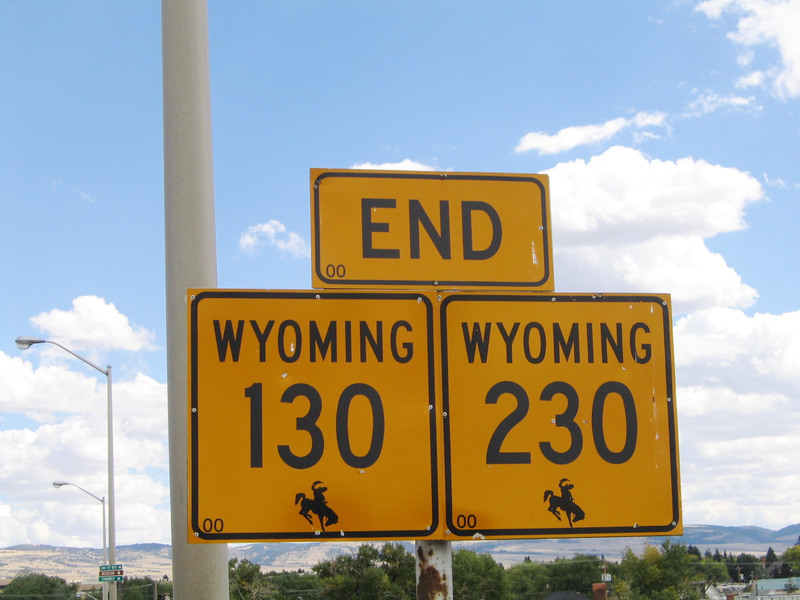 An end Wyoming 130 (and Wyoming 230 as of 2013) sign is posted along northbound Wyoming 130-230 prior to the Interstate 80 and U.S. 30-287 interchange near Walcott Junction. 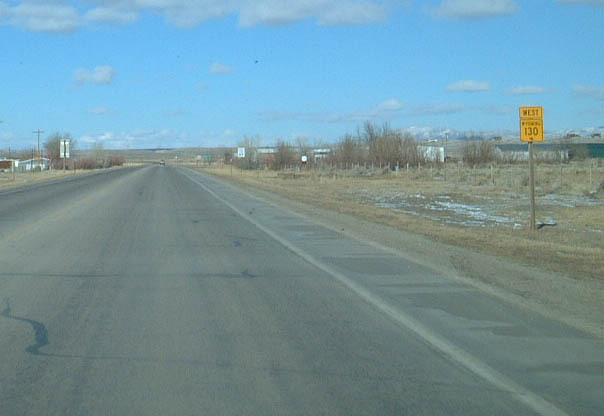 As is standard practice, the end shield appears a half-mile or so before the actual terminus of the highway. Most primary state routes have end shields, but secondary state routes do not. 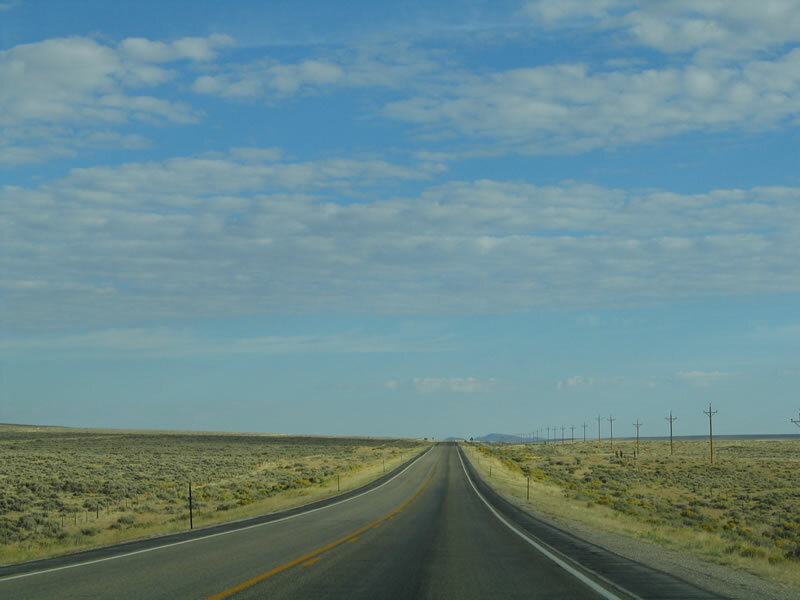 All things considered, there are very few "primary" state routes in Wyoming. Photo taken 02/04/02. 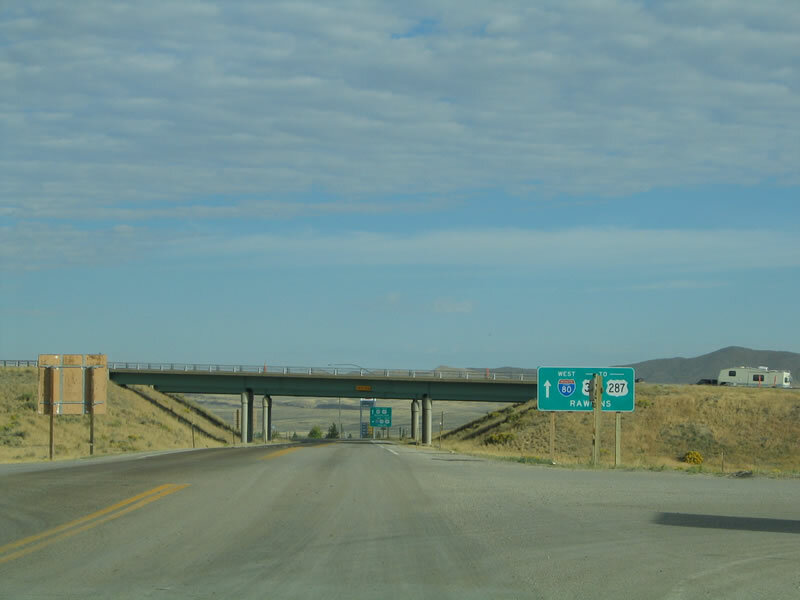 The first ramp of the diamond interchange between Interstate 80, U.S. 30, U.S. 287, Wyoming 130, and Wyoming 230 will connect northbound Wyoming 130 with eastbound Interstate 80 to Elk Mountain and Arlington. Photos taken 09/08/05. The second ramp connects with westbound Interstate 80/U.S. 30 and northbound U.S. 287. 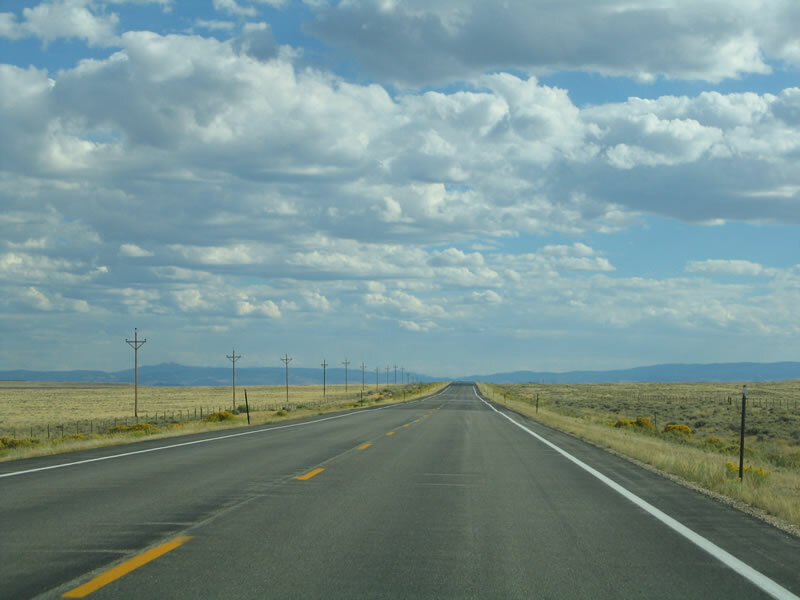 Continue straight ahead for eastbound U.S. 30-287 to Hanna, Medicine Bow (Wyoming 487), and Rock River. Photo taken 09/08/05. 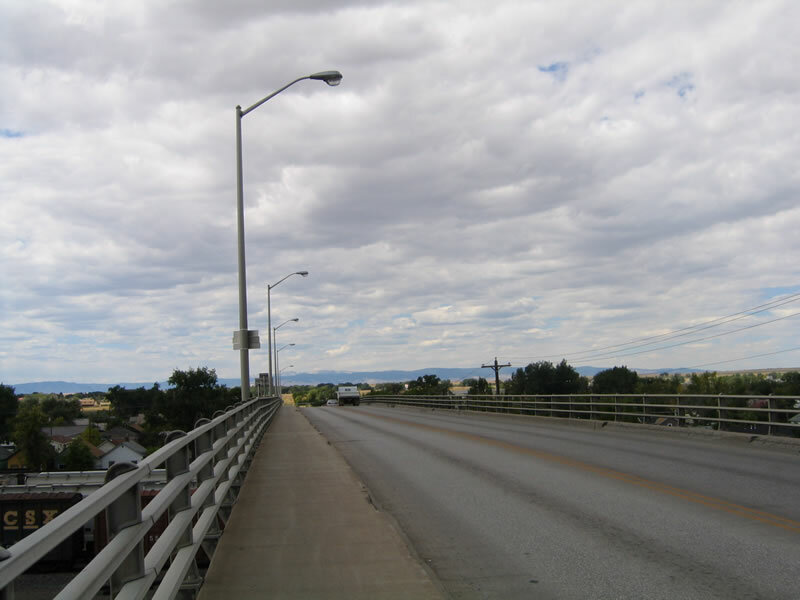 This view shows the Wyoming 130 and Wyoming 230 (Snowy Range Road) viaduct as seen from downtown Laramie. This viaduct is slated for eventual replacement. Photo taken 09/07/05. This is a view of the Union Pacific Railroad tracks looking south as seen from the sidewalk on Wyoming 130-230 (Snowy Range Road) in Laramie. Photo taken 09/07/05. Now we look north from the Wyoming 130-230 viaduct north along the Union Pacific Railroad tracks toward the Curtis Street (Business Loop I-80) viaduct in Laramie. Photo taken 09/07/05. 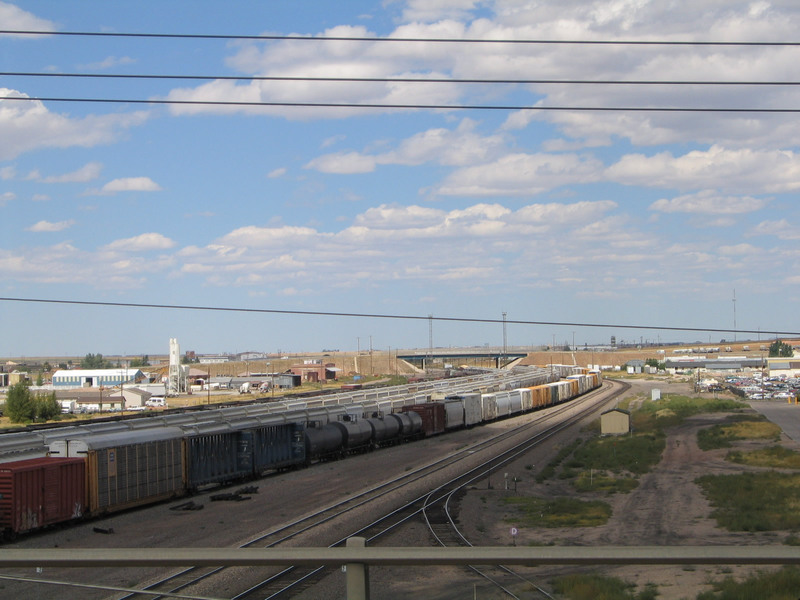 The Union Pacific Railroad yard spreads out below the Wyoming 130 and Wyoming 230 viaduct. Photo taken 09/07/05. 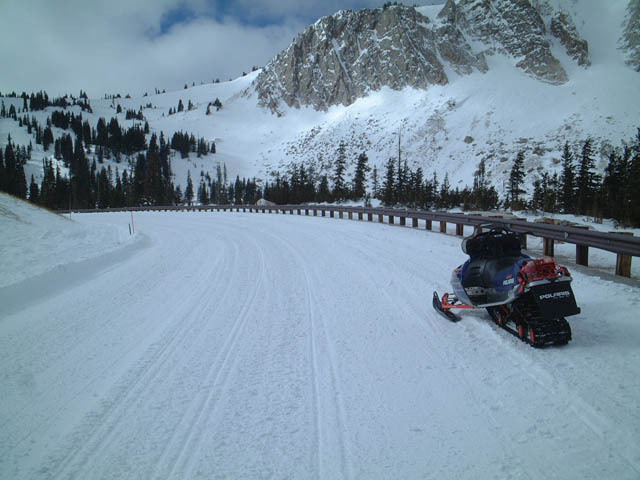 The only way to access Wyoming 130 across the top of the Snowy Range in the winter is via a snowmachine. Photo taken 02/04/02.